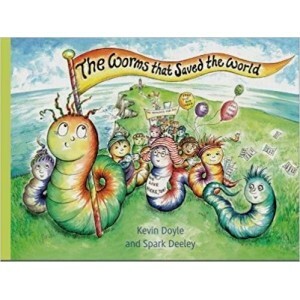 The Worms that Saved The World is an illustrated children’s book about a rebellious group of earthworms who fight to save their home from a luxury golf course that takes over their lands. The story was inspired by a famous campaign that took place at the Old Head of Kinsale in Cork, Ireland at the turn of this millennium. A bit of background: The Old Head has been described as one of the ‘one of the most spectacular beauty spots on [Ireland’s] Wild Atlantic Way’. However in 1989 the promontory was purchased by a property developer whose dream was to build a luxury golf course on the headland. Part of his plan involved restricting public access to the walks along and around the Old Head. A public campaign got underway to opposed the annexation and this took the form of ‘picnics’ that were often followed by ‘mass trespasses’ on the headland. The developer appealed to the Irish courts to uphold his right to control movement on the headland and eventually he won. Today access to the Old Head is very limited—unless you have lots of money and you like to play golf. Kevin Doyle is an award-winning short-story writer. His work has been widely published. He won the Michael McLaverty Short Story Award 2016 and a CAP Indie Award for his collection Do You Like Oranges? At the turn of the millennium he was active in the campaign to defend the public’s right of access to the traditional walkways on the Old Head of Kinsale. 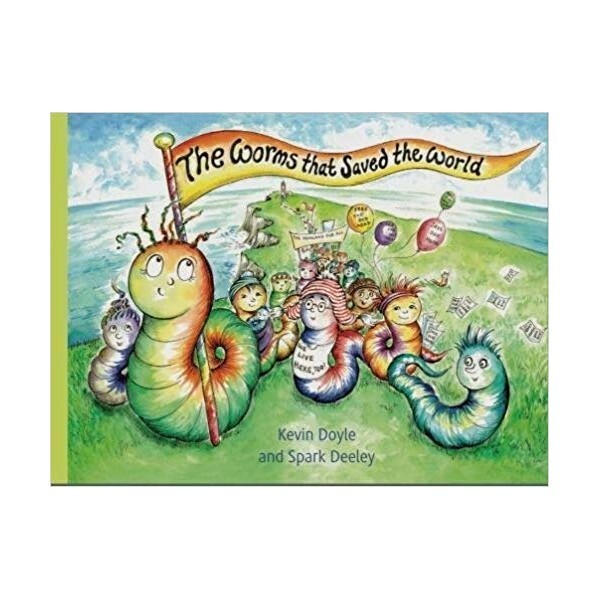 That campaign and his daughter Saoirse’s interest in garden worms inspired this story. He is also the author of many articles on anarchism and the anarchist tradition, and teaches creative writing in Cork.